With a virtual clock frequency of 4 GHz, the Fluke PM 6685R offers an unmatched resolution of 2.5 x 10-10 per second, giving 10 reliable read-out digits in only one or a few seconds. 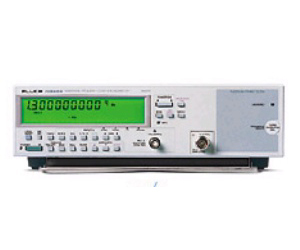 This makes high-accuracy calibration measurements possible, with the convenience of requiring only a digital counter. The wide choice of input options allows digital calibration measurements at up to 3.0 GHz, without the complexity of needing to use synthesizers, mixers and filters to provide the required resolution down to the last digits.